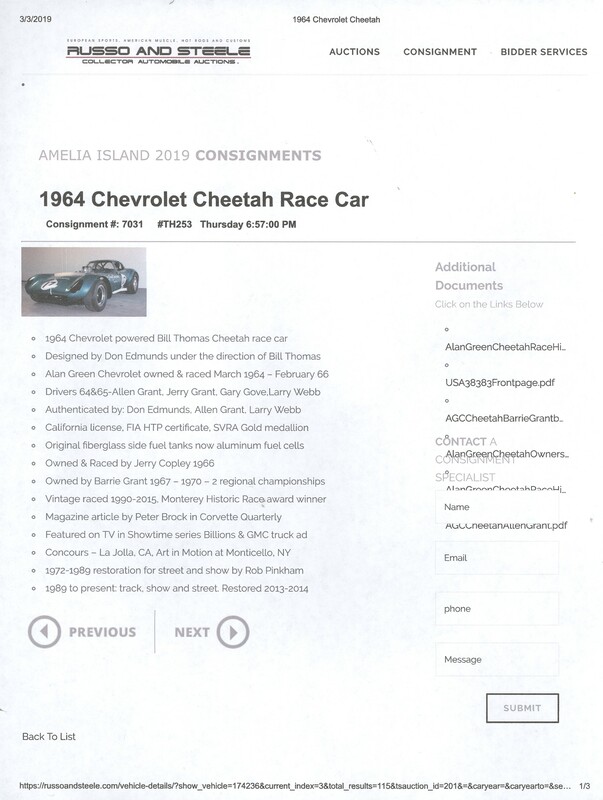 Amelia Island 2019 Russo And Steele Auction consignment #7031 Cheetah BTC003 Counterfeit ID Number HOAX on the Bill Thomas Cheetah World History. This Cheetah has been admitted by Fred Yeakel in 2 public publications Counterfeit Hoax ID number BTC003 attached to chassis completely Invalid according to the DOT. This Cheetah does not have a Genuine Bill Thomas ID number confirmed by Bill Thomas Feb 24th 1988. Bill Thomas BLACK LISTED This Counterfeit ID number Cheetah as soon as he reviewed owner history pictures and Counterfeit ID number. Again this Cheetah does (NOT) have Genuine Bill Thomas Cheetah production ID number. Also Bill Thomas requested I keep this Counterfeit ID number Yeakel Hoax (OFF) the Official Gebuine Bill Thomas Cheetah Survey. 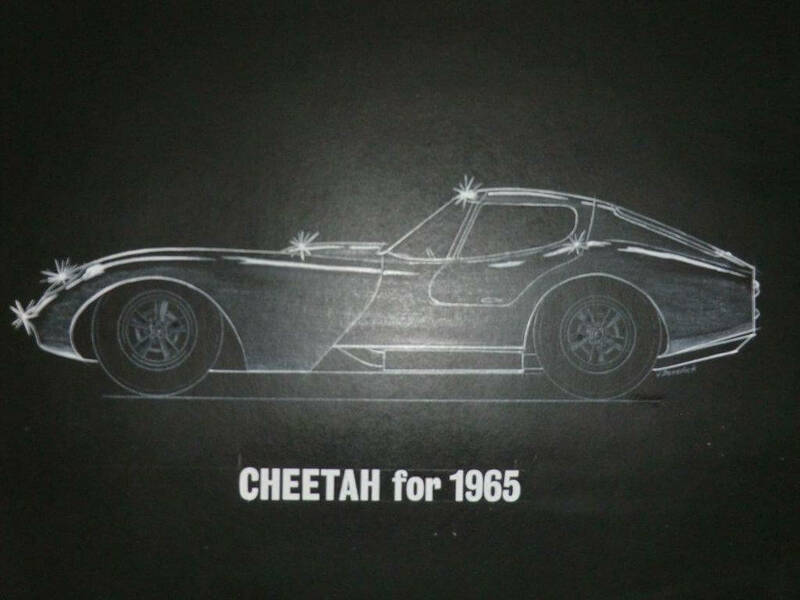 Mike Scott Corvette & Sports Car restorer who repaired this Cheetah many times explained to me many times there are No original Bill Thomas Cheetah parts on this Fake ID Number car. Car was wrecked 5 times and DESTROYED 2 times. This is not a Blue Chip Stock investment. To the Contrrary it is by far the worst investment example of a Cheetah in the World today. I have Appraised it at a (MINUS) $250K for a reason. I have inspected this Cheetah 2 different times in person. I would warn any potential buyer Beware of this HOAX Counterfeit ID number car and would advise not to purchase it at any price. It is the most controversial Cheetah in the World. I do not Believe the registration and California Title are Valid. 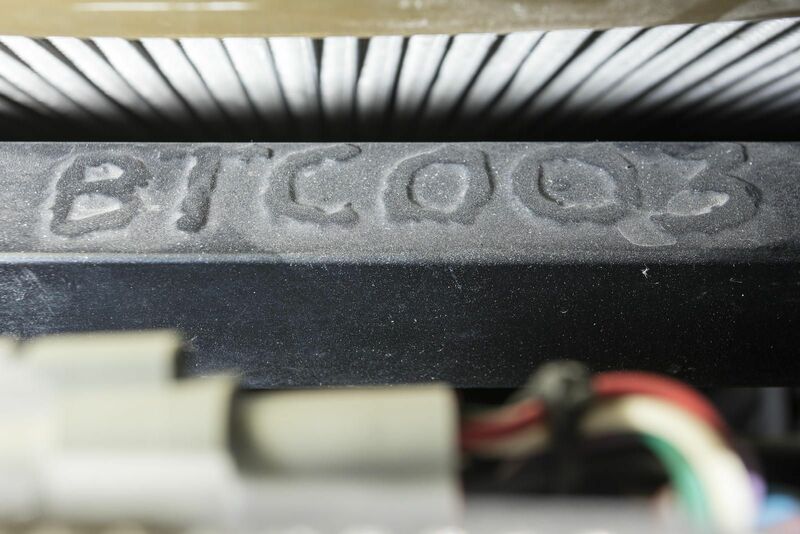 View Counterfeit ID Number made up of a weld 6 digit number attached. It is unthinkable today someone would try and pull this off in public. Very Dangerous move. Another very serious problem Yeakel has produced documents with Counterfeit ID number and had 3 gentle men sign them thinking these documents are some kind of proof his Fake ID number is Genuine Cheetah.. Larry Webb Allen Grant and Don Edmunds. For the Life of me I can't understand why Yeakel would ever do this to these Men. I am not in any way in agreement with what Yeakel has done here involving these documents claiming Authenticity of his Cheetah. It is 100% flat out WRONG. 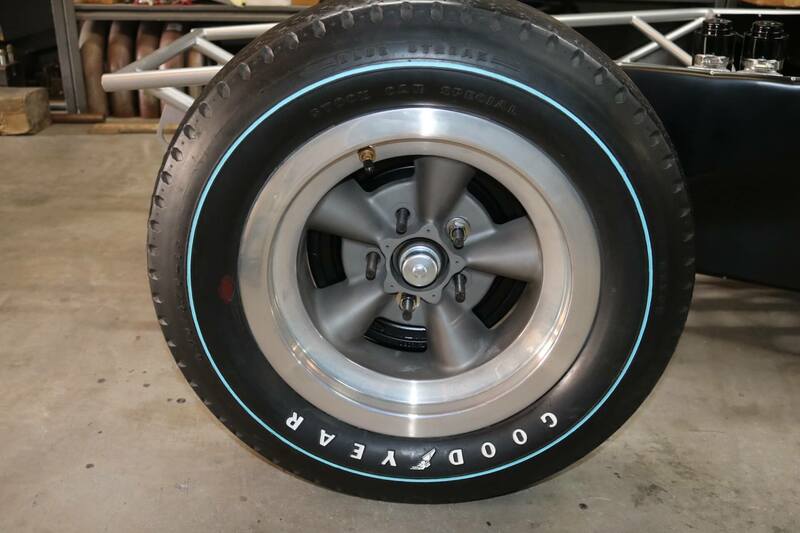 Cheetah Aluminum prototype Serial number 126364002 was purchased by Chevrolet Engineering Center and shipping off to CEC in December 1963 We now have engineer's in writing #002 was owned by CEC. The very best documentation eye witness accounts and photo's In Chevrolet Engineering Center Auditorium on the Test Fixture are the most powerful evidence to date. 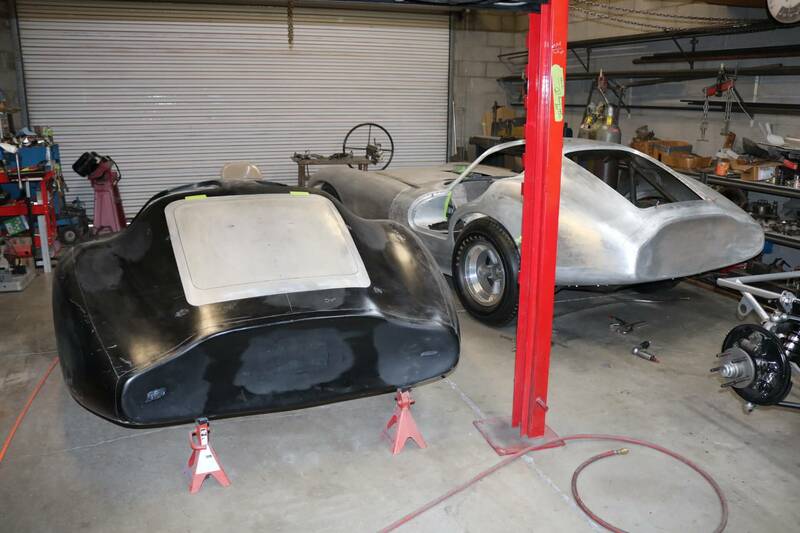 Frank Winchell of Chevrolet Engineering made the deal with Bill Thomas to purchase #002 Aluminum prototype for the purpose of gaining mass amounts of information in testing it at the CEC. The information and knowledge acquired from this #002 Cheetah was an advantage for CEC due to its low cost investment it was penny's on the dollar in comparison to in house prototype costs to build such an incredible Sports car. 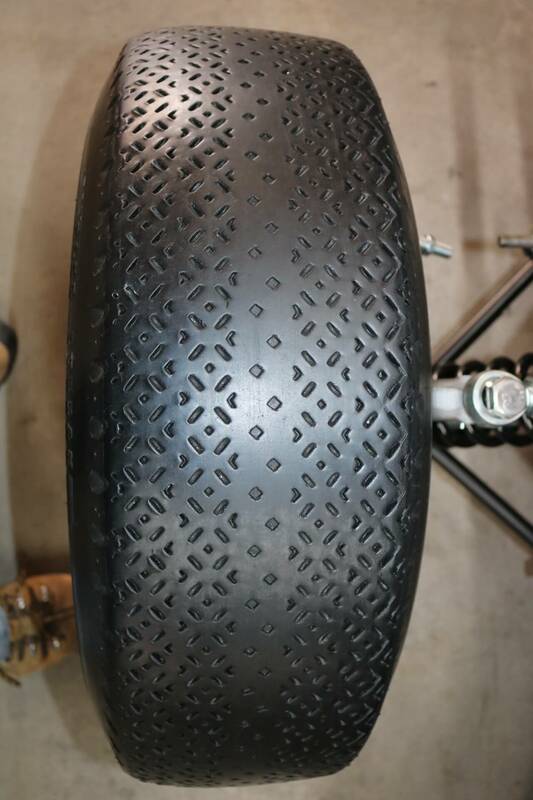 Bill Thomas bought this #002 Aluminum Cheetah back for $10,000 after CEC & R&D were done with all there testing. This Cheetah still retains its GENUINE Bill Thomas Serial Tag Plate. Stay tuned more documentation to come. 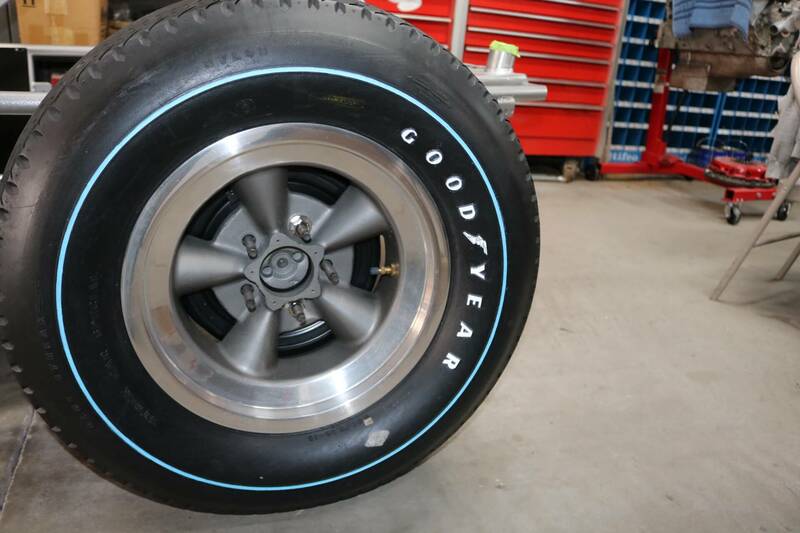 Original Vintage GoodYear Blue Streak stock car special tires mounted on 15 X 6" American Racing Magnesium wheels up front tire size 6.50/6.70 X 15 and rear wheels 15 X 7" with tire size 8.00/8.20 X 15 These are the exact tires #003 Alan Green Chevrolet Daytona Cheetah qualified on in Feb 1964. 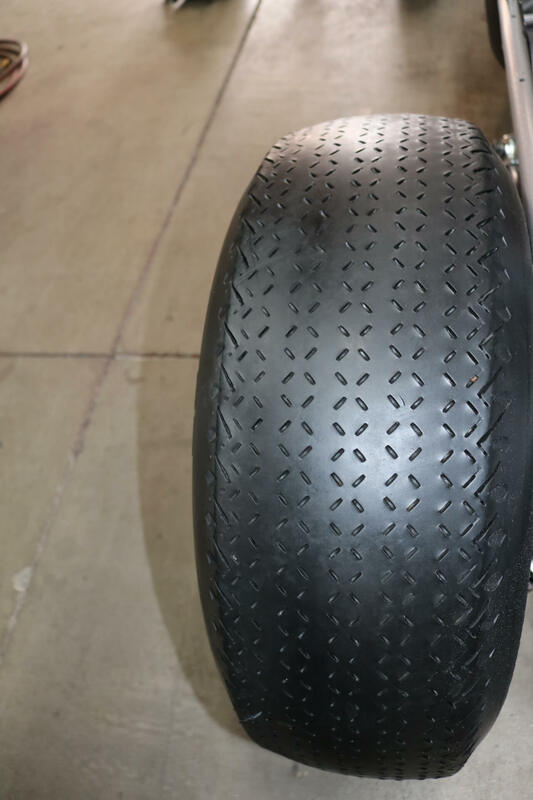 Very Rare tires today. They are static display only but will give the exact look as delivered by Bill Thomas Race Cars. Bill Thomas Cheetah BTM Bill Thomas Motors Genuine Cheetah Certificate of Authenticity already complete on 7 Genuine cars. BTM Bill Thomas Motors of Arizona The one and only company appointed by the man himself Bill Thomas is documenting Genuine Cheetahs with a Certificate of Authenticity with its Historical ID number. With fatcs of original ordering name. 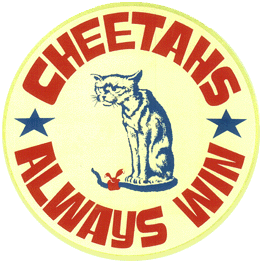 We have certified (7) Seven Genuine Cheetahs to date. Will this help the Real Genuine Cheetahs in the future? Yes absolutely it will increase the value and set these certified Cheetahs in stone going forward in Cheetah History. With this certification and a BTM full restoration these Cheetahs will be set on the highest bar. These will be lets say the BLUE CHIP Cheetahs of the future. We intend to certify at least 4 more in the near future. With a few Fake history Cheetahs in the market today we ask potential buyers to PLEASE contact Robert Auxier before purchasing a Cheetah. There are Cheetahs For Sale in the market we are in Protest of there Fake History so be cautious. We rebuild Corvette 283 & 327 fuel injection stock units plus rebuild the special dual air meter units. We also purchase used units and parts. 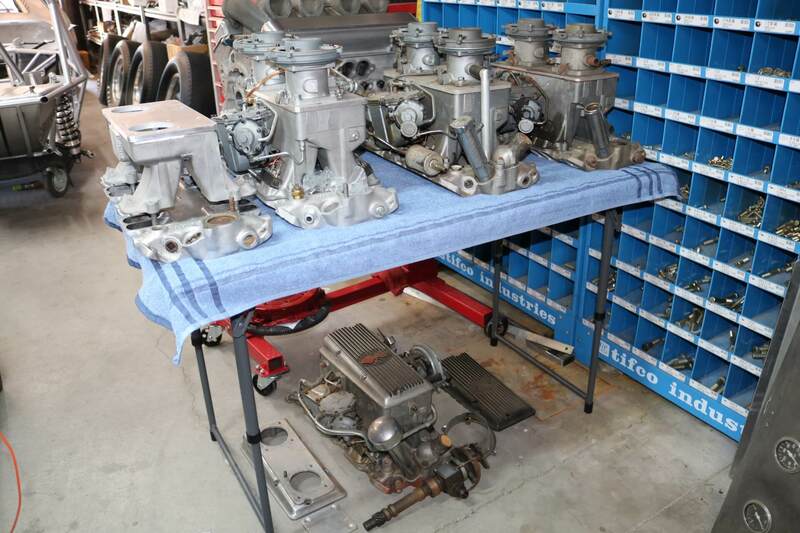 Notice the very rare aluminum C/E/C engine getting fitted with its 58mm webers. Yes this is the #003 Alan Green Chevrolet Daytona Cheetah engine. 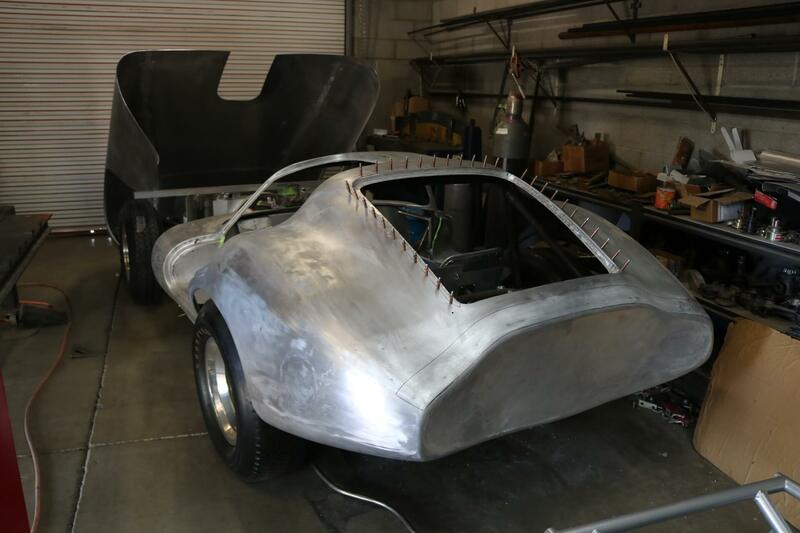 We are pround to be making great progress on the 1 and only 1965 Model 427 aluminum Super Cheetah. Back window was just cut open for the first time since it was made and it changed the rear style look for sure. Now we are making the tray for the hatch and window. It is getting restored/finished to the original 1963 1st set of styling drawings.It is on track to be completed in 2018. The Baddest of the Bad with its genuine Bill Thomas 1965 Iron Head 427 L88. The rear window tray is now finished. Tracing the cut out onto the Black rear body of the 427 Auxier Special.